My little hijack of the end of summer movie draft, resulted in Tank and Fogs grabbing the other guys and getting an episode up. I am heavily quoted and it was fun to be part of the event. Click the image below to find the podcast. I was really impressed with this amazing film. Laika has been responsible for some wonderful films in the last few years. From “Corpse Bride” to “Pananorman” tho only one I still have not seen is “Boxtrolls”. This is a studio that when it comes to quality of production is second to none. They have a track record of artistic consistency to rival Pixar. What they have not had is the box office to match. It is especially sad when so many less worthy projects have taken the field and scored big time. “The Secret Life of Pets ” was fine but not great. I have no idea how “Angry Birds” came out but I’m not hopeful. 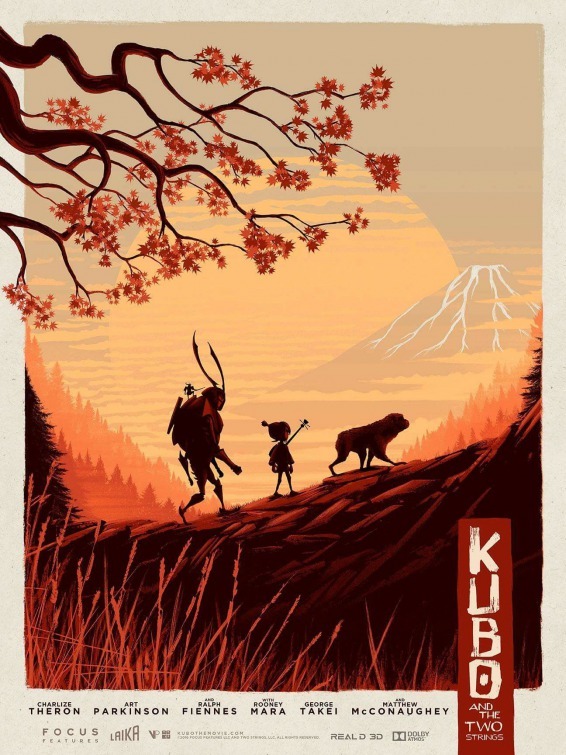 This movie however knocked my socks off and it is my hope that “Zootopia” and “Finding Dory” will be satisfied with their box office glory at the end of the year, but that the Academy will see the truth, “Kubo and the Two Strings” is a real achievement. The painfully slow and delicate process of stop motion animation is supplemented with digital artistry to make this movie smooth and polished. While older stop motion films sometimes look a little jerky or the flaws in clothing or facial impressions sneak by, you will not find anything like that here. The art direction is lush with Japanese landscapes that look as if they came from classic watercolors of old Japan. The character design is faithful to traditional styles of story in that culture. There are sequences so breath taking as to merit being watched all on their own, even if you are not going to see the whole film. The only reason I can think that audiences here have not embraced it as much as it deserves to be is that it has that sensibility of Japanese magic stories that often feel so unworldly, that audiences are not sure how to take it. Kubo is a boy of nearly 11, who has an amazing gift for telling stories. It is a magical trait that he has received from his mother, who after crossing part of the ocean in a fierce storm that seems directed at her, brings the infant to a cave on a peak, that is solitary and overlooks that same ocean. Kubo has grown as a boy into a creative and responsible child, but his mother seems to be slipping away. She has filled him with stories, many of which feature his grandfather as a cold and harsh deity in the heavens. She has warned him not to be outside of their hidden cave after dark, least her cruel sisters find him and take his one remaining eye for their father. So yeah, it is a dark fairy tale filled with the spirits of the dead and the night sky. We don’t ever get any explanation for why things are the way they are, we just have to accept them. That is a daunting task for a culture that is low context and so direct. What is really unusual though is that this film is an original as far as I can tell. It is not an ancient story from Japan nor is it based on a film from the Asian market. It is grown right here but feels organically Japanese. Another barrier might be that the story is complex and there are some dark elements to it, but not any darker than “The Lion King”. Kubo’s adventure takes him in search of a suit of Armour that had been pursued by his father before him. The curse his family is under involves him in conflict with monsters and the elements. The gifts that Kubo has however are companions with a secret and his own ingenuity. If you suspend your disbelief long enough to watch the magic come to life, the story issues will seem unimportant. We don’t need a plot summary when the emotional climax of the film arrives, we need tissues. If you miss this movie, you are missing one of the best films of the year, much less the best animated film of the year. I’m going to include a little extra for you to push you into seeing this. If you watch the music video below and are not intrigued by the film, I don’t know what to say. It is a wonderful match of music to the theme of the film. Get out of your house right now and go see this movie. Remakes inevitably suffer from comparison to their predecessors. 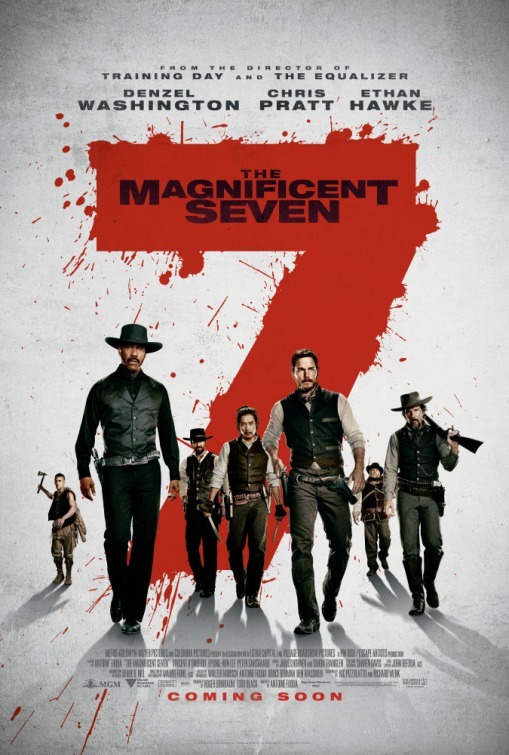 This version of the Magnificent Seven will not be an exception. It has star power, and entertainment value, but it seems to be short in stature because of the times in which it is made and the demands of contemporary audiences. We need our action to be spectacular and the visualization to be inventive. The problem is, with such a traditional setting, it sometimes feels a bit anachronistic. Characters playing out the events of the story in 1879, sound like they might have been born in 1979. The touches of humor and the self referential moments left me a little less impressed, despite some excellent tweaks to the well known story. Let’s begin with the stuff that works and helps this movie cross the line as a winner. Denzel Washington is the closest thing we have to a movie star working today. His presence in a film can still bring out an audience and his acting chops are top notch. The only film star comparable would be Tom Cruise, and I think Mr. Cruise is more limited in what an audience is willing to see him in these days. Of course Mr. Washington is also playing in the action field now more than any other genre also. Cast as the lead cowboy in this band of mercenaries, he is completely believable in spit of question of his heritage. You never once think that he is not exactly who he says he is and there is no question that the people he encounters grant him the respect he clearly communicate to all that he deserves. It is a credit to the makers of the film that they don’t exploit what might have been a distracting non-issue and instead focus on the story at hand. Ethan Hawke’s character is also a plus in the film. We get a little more back story than we ever got with Robert Vaughn in the 1960 version, and it makes most of his actions seem more reasonable. As a deadly sniper who survived the Civil War, his struggle with PTSD seems understandable even if it is only partially fleshed out. His friendship with an Asian assassin in the old west is a little more difficult to swallow, although it offers a nice relationship and provides quite a bit of entertainment. Also worthy are the characters played by Vincent D’Onofrio, Manuel Garcia-Rulfo and Martin Sensmeier. They make up a worthy second tier trio of mercenaries. I liked Byung-hun Lee perfectly well in the film but as I said, his character is one of two that draws attention to the fact that we are watching a story made by people trying to entertain us any way they can. The second character that sticks out a bit like a sore thumb is Chris Pratt’s gambling cowboy. Don’t get me wrong, I’m glad he is in the film and I enjoyed his performance just fine. The trouble is that the character is so overdone in an effort to make the film a little more hip that the story loses much of it’s organic nature. It screams for attention and the manner in which the character talks is more in keeping with the Space Opera Pratt is noted for than the Horse Opera we are watching. His story is written more for the audience than for the events in the film. There are moments in the reworking of the story that I thought fit well. The events that propel the character of Emma Cullen to reach out for help from such dangerous men was well set up and executed. She develops as a character only so far however and in the end her role becomes a plot device rather than someone we can care about and relate to. I will say however that the audience I saw this with was enthusiastic about her piece of action at the climax of the film. 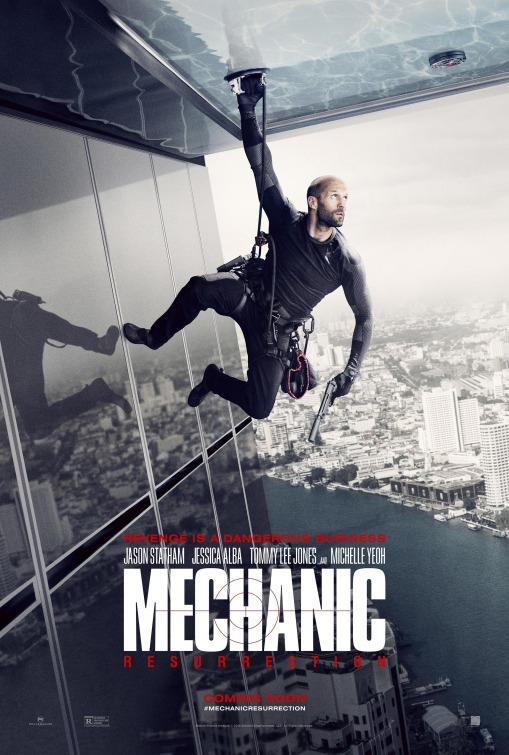 Peter Sarsgaard as the villain of the piece is suitably despicable, although the capricious manner in which he treats his employees would make most people think twice about taking a job from him. I could have lived without the backstory for Denzel’s Chisolm, I think he would be more interesting as a cypher but it does provide a bit more logical reason for him to take on the task that he himself describes as impossible. The planning components of the final battle are reminiscent of some of the same things that were found in “Seven Samurai”, the film that was remade as the first “Magnificent Seven”. That battle sequence does go on quite a while and it is one of the places that the action sometimes feels over the top. I did not count the number killed but it would certainly approach two hundred. I can say however that the deaths that occur in the group seem relevant and well earned. This is the final score of the late James Horner, who died last year far too young but with a set of films on his vita that would make anybody proud. Two nights ago, in preparation for an upcoming podcast, I watched “Battle Beyond the Stars”, a Roger Corman cheapy Star Wars wannabe that uses the plot of The Magnificent Seven as it’s source. One of the gems in that otherwise minor film is the score, by a young James Horner. His career is thus somewhat bookended by this story. This score is not as iconic as either of those other two films but it does convey some seriousness and in a couple of places, the grandeur of the west. There is a continuing echo of the classic Elmer Bernstein theme in several spots, but that tune is not fully utilized until the end of the film. I’m a sucker for a western, so my opinion on this was likely to be pretty high to begin with. It is a solid entertainment and a reasonable facsimile of a traditional western, but it has a few elements that make it feel more manufactured than it ought to be. I look forward to discussing it with my fellow bloggers next week, but for mow I will say you should definitely see it. There are not likely to be a lot of westerns in Denzel’s future career, and that is a shame because he fits in the saddle really well. I’m playing in the prison yard with the Lambkids. For the Lamb Page click on the suffering Paul Newman. I know there are a lot of us out here who are pretty fed up with 2016 when in comes to the death of celebrities we care about. From sports to music to politics, well known figures from our lives have moved on. Of course as a film fan, we are especially vulnerable because actors we loved as kids are now in that stage of life that call them to the next venue. In no way is this tribute a diminishment of anyone else who has left us this year, but it is a unique opportunity to pay tribute to at least one individual that was significant in my movie going life. 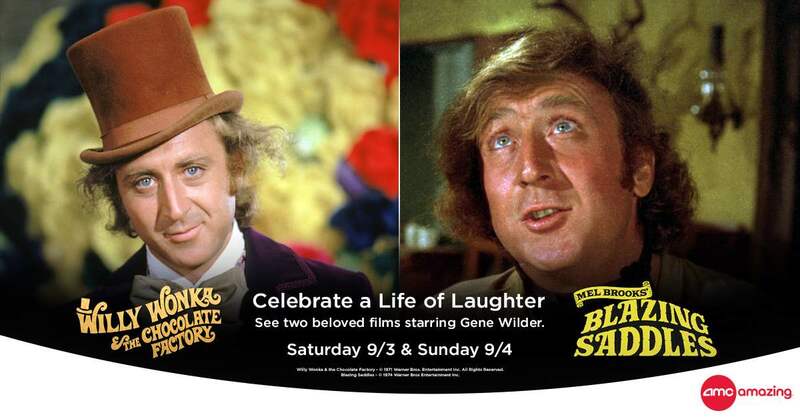 In the 1970s, Gene Wilder was one of my comedy favorites. 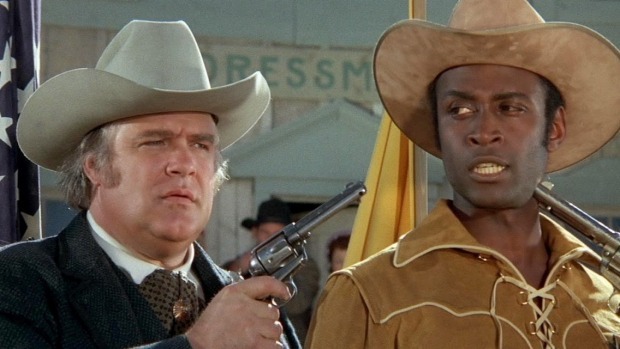 I first saw “Blazing Saddles” with a group of friends from my High School Jr. Optimist Club. We went far from my hometown in Alhambra, to either Brentwood or Bel Air to pick up one of our group members Ron Rosenberg. It was the only time I remember going to a film with this set of friends, but I know that my Two Best Friends, Art Franz and Dan Hasegawa both went as well. Since we were in Ron’s neck of the woods, we saw the movie on the Westside of L.A.. It wasn’t in Westwood, I think it might have been in Encino. We were all about 16 at the time, so the campfire scene was a major point of amusement for us. Wilder’s drunken fast gun “Jim” (The Waco Kid) was a take-off on several movie tropes from 50s westerns. I know I’d seen the Gregory Peck film “The Gunfighter” and I recognized the variation of the story about the kid with the gun from that. This movie was subversive in so many ways but mostly it was just funny. A theater full of people laughing hard is one of the great joys in life. You would frequently miss jokes in the film because the laughter had not died down enough from the previous joke for you to hear the next one. Jim: [consoling Bart] What did you expect? “Welcome, sonny”? “Make yourself at home”? “Marry my daughter”? You’ve got to remember that these are just simple farmers. These are people of the land. The common clay of the new West. You know… morons. As a side note, we lost actor David Huddleston just a month ago as well. Those of you who are not familiar, he played the Mayor of Rock Ridge, Olson Johnson. The screenplay had input from several writers including the great Richard Pryor, which may help explain some of the incendiary use of racial epithets being funny instead of offensive. The list of people and types that get skewered in this film is long and wide. In today’s culture of political correctness and social media, the film would be pilloried and Brooks and Company would be tarred and feathered, at least virtually. The movie is an equal opportunity offender. Nowadays, if a special interest group sees one piece of clothing, hears one suspect term or is portrayed in any light less than flattering, there is a hue and cry across the land. 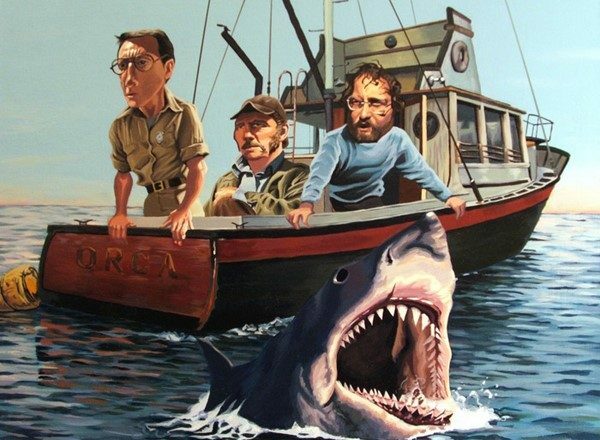 This movie would create an earthquake if it were new today. As important as Wilder was to the film, it is interesting that he got the part as a fluke. The Waco Kid was originally to be played by Gig Young. He left because of health reasons (alcohol abuse being the main issue) and Wilder stepped in after they had already started filming. I have a hard time seeing Young pull off the bit where the Kid and Bart are in Klan Hoods and the Kid starts wiping off Bart’s hand and then turns it palm up saying, “See, it’s coming off”. 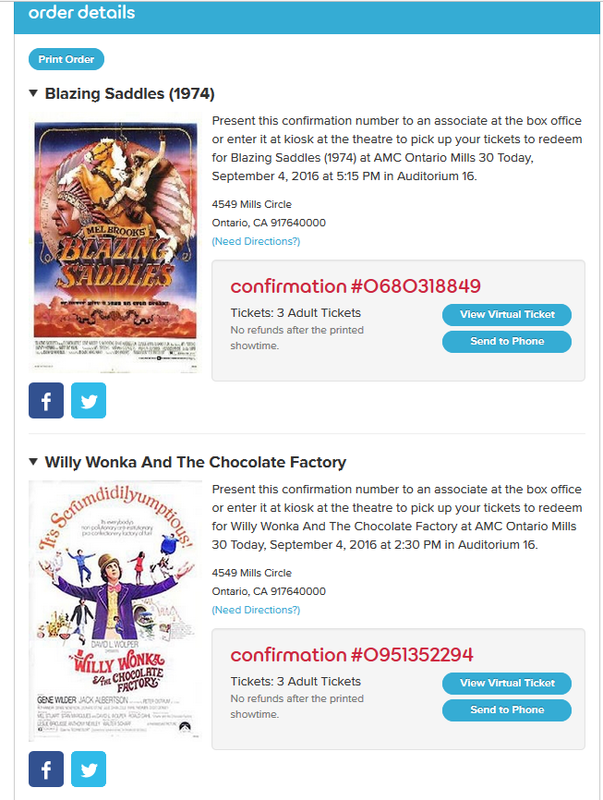 Wilder is a significant part of “Blazing Saddles” but he is the star and clear focus of the charming “Willy Wonka and the Chocolate Factory” . This morality tale is told from a sour disposition but at the center is a sweet piece of acting by the late Mr. Wilder. This is a movie that I have shared with my kids from the moment they could sit up in a seat and watch something on television. There are some harsh aspects to the story, but it all comes out well and everyone learns a lesson. There are dozens of asides that Wilder makes as the parents try to engage Wonka in conversation, and he allows the kids to have just enough rope to hang themselves. We have a conflicting message at one point because Charlie breaks the rules as well as the other kids and seems to get away with it. When Wonka flies into his tirade at the end, we are heart broken even though we should have learned that Charlie was in fact wrong. Instead of reacting as an vindictive adult, like his Grandfather wants to do, Charlie is contrite and apologizes in the best way possible. This gives us the joyful moment when Wonka is redeemed for us and himself. That one act allows Wilder to put back on the mantle of gleeful trickster and make us love him again. That is a perfect Gene Wilder Moment. The theaters this afternoon were not sold out but they were fairly packed, and they were in fairly large houses and as we left, there were two screens playing both films and there were line ups for the 7:30 and 8:00 shows. It is wonderful that people came out for the two films, it’s just unfortunate that the reason why was to say good-bye to a gifted performer.